Dr. White is an Assistant Professor of Radiology, Director of Musculoskeletal Radiology, Department of Radiology; Dr. Boswell is a Professor of Radiology and Urology and Associate Chairman, Department of Radiology; Dr. Whang is an Assistant Professor of Clinical Radiology and Medical Director of Imaging, Department of Radiology; and Dr. Duddalwar is an Assistant Professor of Radiology, Department of Radiology, at the Keck School of Medicine,University of Southern California University Hospital, Los Angeles, CA. Dr. Mandelin is a Resident, Department of Radiation Oncology; and Mr. Astrahan is the Chief of Medical Physics and an Associate Professor, Department of Radiation Oncology, at the Keck School of Medicine, University of Southern California University Hospital, Los Angeles, CA. 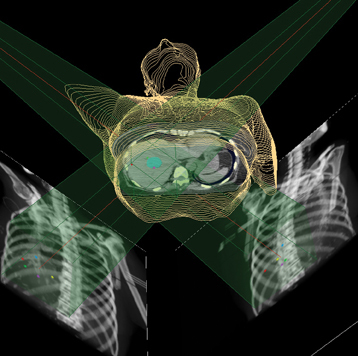 Image-guided radiation therapy (IGRT) utilizes real-time imaging to deliver more precise radiation therapy with respect to tumors. 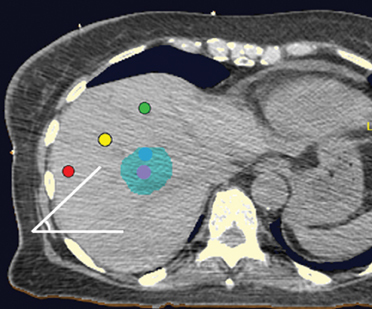 The development of highly conformal radiation therapy techniques places more stringent requirements on the accuracy of beam targeting. In practice, large uncertainties exist in tumor volume delineation and in target localization due to physiologic organ motion. 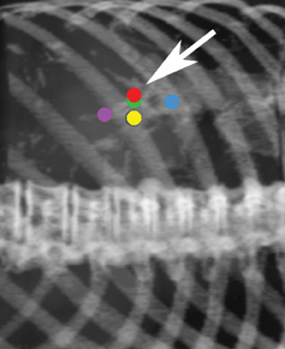 IGRT uses orthogonal x-rays to visualize radiopaque fiducial markers implanted within and adjacent to the tumor for real-time tracking during the entire treatment cycle.1 Stereotactic radiosurgery (SRS), which is delivered in a single fraction, and stereotactic radiotherapy (SRT),which is delivered in up to 5 fractions, were developed at Stanford and approved by the U.S. Food & Drug Administration in 2001. A robot (Figure 1) delivers highly focused 6MV photon radiation from a single, highly collimated beam from hundreds of angles. 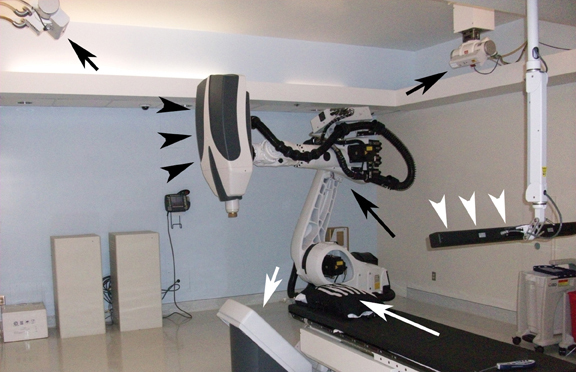 Figures 1 and 2demonstrate the many components of the radiotherapy system within the vault room, where the patient is treated. The system continuously synchronizes beam delivery to the motion of the tumor, allowing significant dose reduction in treatment margins while eliminating the need for breath holding. The patient wears a special vest that has light-emitting diodes that track the tumor according to the patient’s respiration or other movements. This movement is detected by the ceiling-mounted camera array. 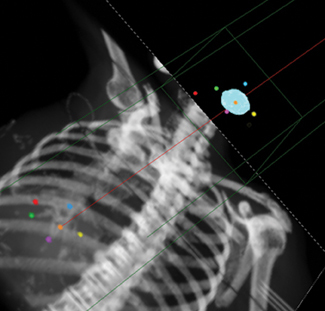 This information is displayed on a computer monitor, where a breathing model is made, which can make adjustments in radiation delivery in real time, including predicting tumor location. 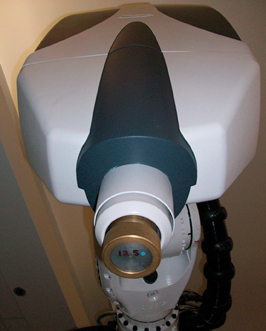 The system has interchangeable collimators with sizes from 5 to 60 mm and utilizes its noncoplanar beam arrangement to deliver submillimeter accuracy. 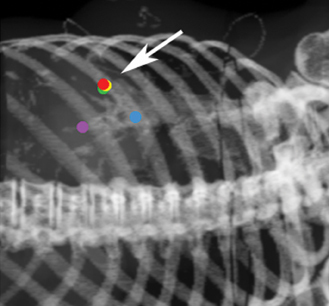 Real-time kV imaging is obtained using either bony land-mark reference points (e.g., 6-dimensional skull base tracking or spine tracking) or implanted radiographic fiducial markers (e.g., gold seeds or coils). 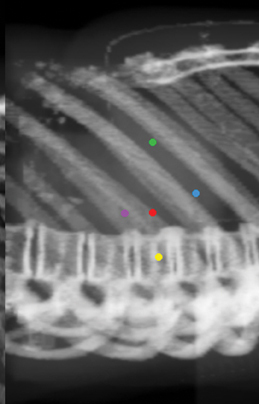 Figure 3 demonstrates how digitally reconstructed radiographs are obtained, and compares how the fiducial markers appear on the planning computed tomography (CT) system(synthetic images) with how the markers appear during live imaging (camera images). 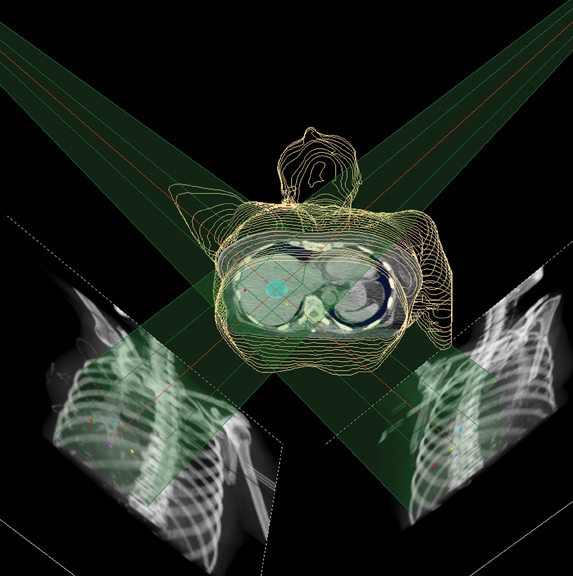 The combined images, called overlays, help to verify patient positioning and track patient motion. 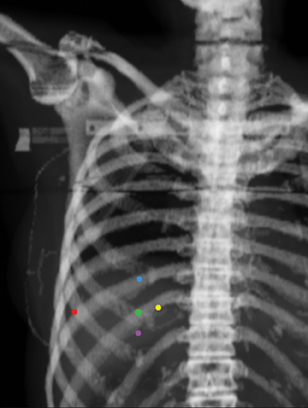 Fiducial placement may appear adequate to the radiologist in that they are near the lesion, providing the system with the spatial information it needs to accurately deliver radiation. 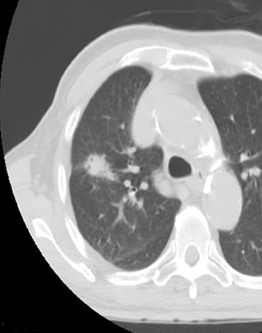 However, what may appear as adequate on CT images to a radiologist may not be acceptable because fiducial tracking is obtained using orthogonal radiographs, from which digitally reconstructed radiographs are made.2 This may result in overlapping markers which will not be usable. 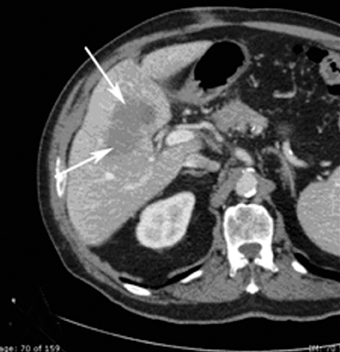 This phenomenon is demonstrated in Figures 4 and 5, showing a diagrammatic representation of a liver tumor and fiducial markers. Fiducials should not be placed in the same plane (e.g., the same axial-CT image plane), in such a way that they form about a 45-degree angle with the horizon (Figure 7). No fiducial should be greater than 5 to 6 cm away from the lesion. There should be a minimum of 1.5 cm between fiducial markers. At least 15-degree angulation should be present between any 3 fiducials (Figure 8). 3-5 A minimum of 3 fiducials are needed to define a plane, which is necessary for the system to be able to localize treatment in space. 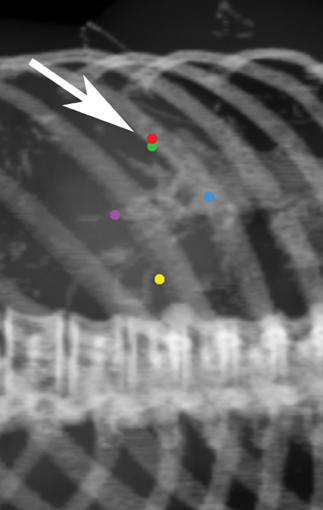 More fiducial markers are preferred—5 or 6 are usually placed at the authors’ institution because some markers may be unusable due to overlap or marker migration. At the authors’ institution, a 16-gauge Hawkins needle available in 5-, 10-, or 15-cm lengths is used (Figure 9). This needle has an inner pencil-point stylet, which has a white knob and a blue blunt-tip stylet that is used to advance the fiducial marker into the tissues. This needle allows more than 1 marker to be placed after puncturing the skin just 1 time by repositioning the angle of the needle between fiducial placements. 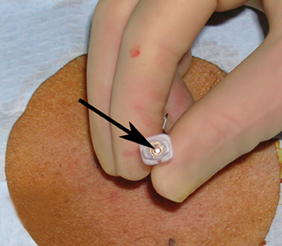 Fiducials are small gold markers that are implanted into the soft tissues or within the lesion. 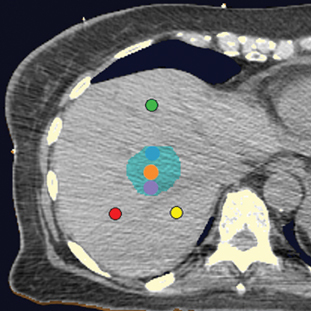 They provide spatial information for the system to accurately guide radiation delivery. 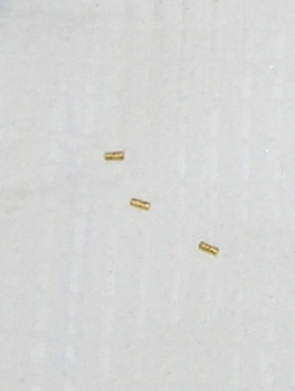 Gold is denser than surgical clips and appears unique on imaging with characteristic streak artifacts. Fiducials are typically required for tumors in the chest, abdomen, pelvis, or other soft tissues. They may not be required for lesions near the spine, as the spine provides spatial localization. 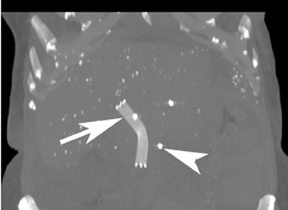 Fiducials are not required for intracranial lesions. 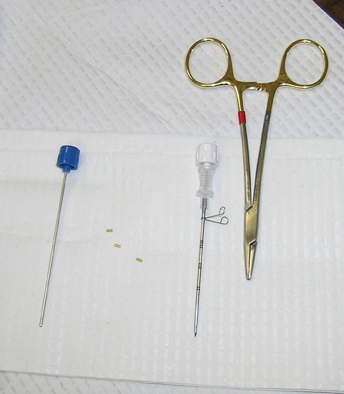 For the procedure, a basic biopsy tray is used with a 16-gauge Hawkins needle, 0.8 x 5-mm gold seed fiducial markers, and a Kelly clamp(Figure 9). 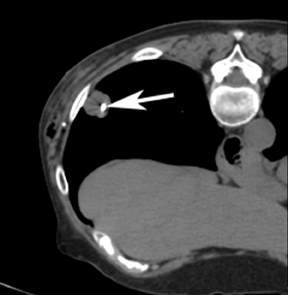 Before the procedure, the patient’s previous CT is reviewed. 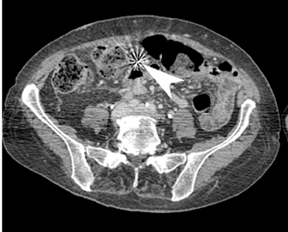 The patient is placed in the appropriate position (i.e., supine or prone) and initial images are obtained. The patient is prepped and draped in the usual sterile fashion. For local anesthesia, 1% lidocaine is utilized. 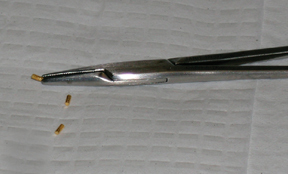 A small nick is made in the patient’s skin (Figure 10). 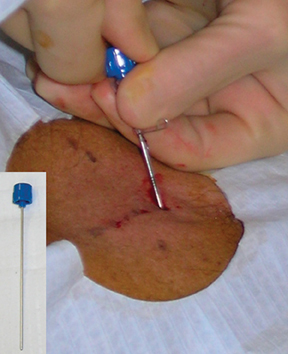 The Hawkins needle with the pencil-point stylet in place is advanced to the desired location and confirmed by CT. Kelly clamps are used to grip the fiducial marker. It is easier to drop the marker into the Hawkins needle if the orientation of the marker is angled slightly with respect to the Kelly clamp (Figure 11). 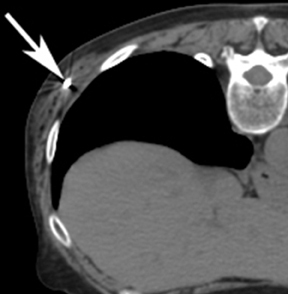 Figures 10 through 12 show a patient with poor pulmonary function tests in whom fiducial markers were placed in the chest wall to avoid a possible pneumothorax. 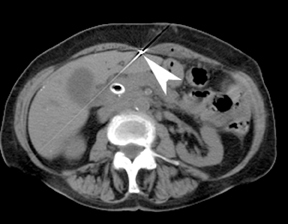 The pencil-point stylet is removed from the Hawkins needle. Using the Kelly clamp the fiducial marker is positioned and released into the Hawkins needle. 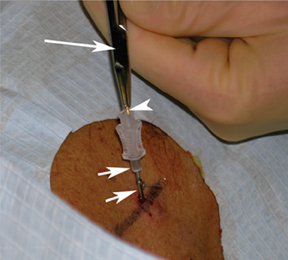 Figure 11 shows the above steps with the fiducial marker within the proximal part of the Hawkins needle. The blue blunt-tip stylet is then placed into the Hawkins needle. This pushes the marker to the tip of the needle. To ensure that the marker exits the needle,the blue blunt-tip stylet should be advanced completely by twisting the luer lock components of the stylet and Hawkins needle until the knob is flush with the needle hub. 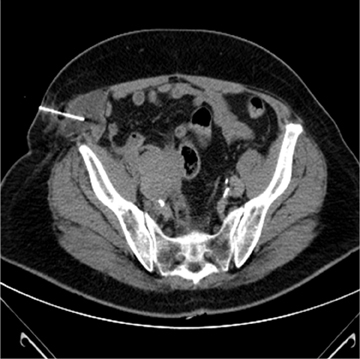 The needle can be removed at this point, or the pencil-point stylet can be replaced and the needle can be repositioned for additional marker placement. 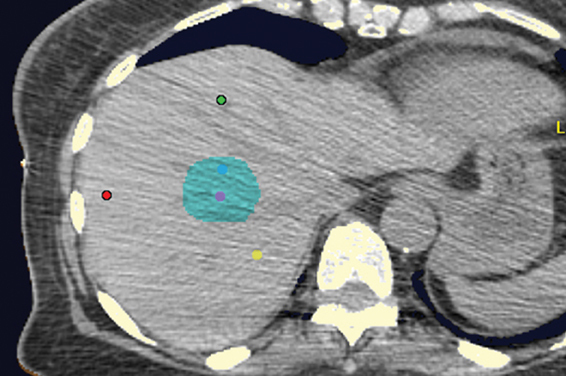 When fiducial marker placement is complete, CT images are obtained showing the location of the markers (Figure 12). Ideally, 5 to 6 markers should be placed. It is important that they are in different planes along the x-, y-and z-axes. If possible,it is optimal to place a marker in the center of the lesion (Figure 13), and then place the other markers around (bracketing) the lesion, so that the isocenter of the markers is the center of the lesion. 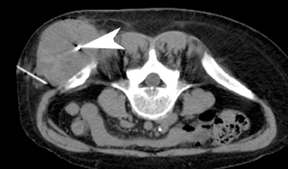 Sometimes it is not possible, as in the patient presented in Figures 10 through 12, to place a marker in the lesion center, but placing them within 5 cm will still facilitate treatment. Markers placed more than 7cm from the lesion will likely not be usable. The system uses a small field of view (20 cm). 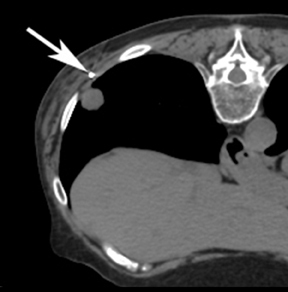 Examples of fiducial placement in the chest, abdomen,and pelvis are shown in Figures 14 through 16. Patients who have fiducials placed in organs (e.g., the liver) are typically observed for 2 hours after the procedure. 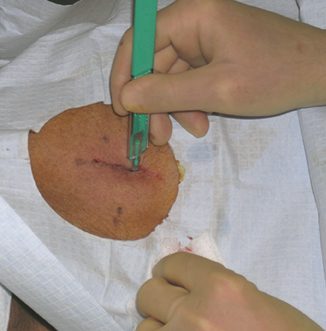 Patients who have fiducials placed only in the soft tissues (e.g., the chest wall) are observed for 1 hour. After this time patients are typically discharged. Patients typically wait 7 to 10 days to allow for “scarring in” of the fiducial markers before returning for the planning CT. Once the planning CT is performed, the radiation oncologists develop their treatment plan. If fiducial markers migrate between planning and treatment, they will not be usable unless the patient is scanned again and the treatment plan revised. 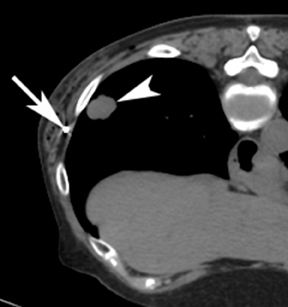 In addition to the usual small risks of bleeding and infection with interventional procedures, potential complications include development of a pneumothorax, lidocaine-related patient confusion, and fiducial-marker migration after placement. 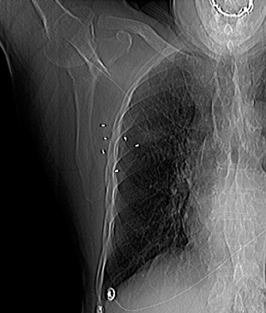 If a small pneumothorax occurs(Figure 17), the patient can be followed with radiographs to verify resolution. 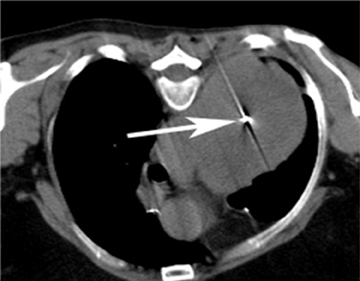 If a clinically significant pneumothorax occurs, a pigtail catheter can be placed. 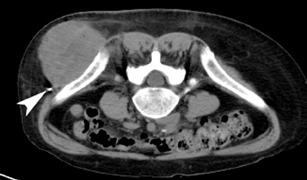 Another possible complication is development of an intramuscular hematoma. 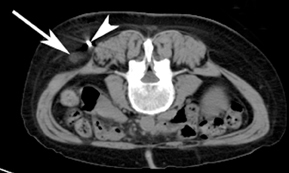 Figure 18 shows a hematoma of the abdominal wall musculature (compared to the normal contralateral side). These hematomas typically resolve without intervention. 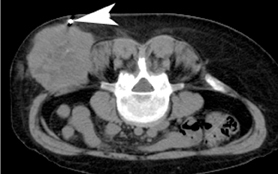 The hematoma can be followed clinically or by CT if necessary. 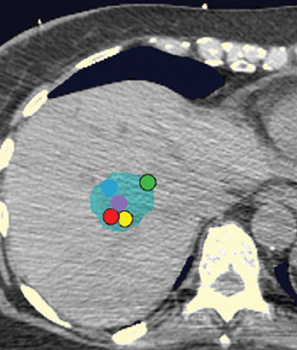 Fiducial-marker migration describes a change in position of markers either between placement and the therapy-planning CT scan or between the planning CT and actual treatment delivery. An example of marker migration is illustrated in Figure 19. 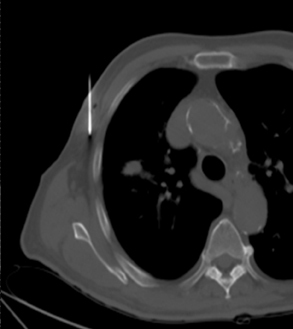 This may also occur when markers are placed in the pleural space,3 or in an intravascular location, such as an artery, although this is uncommon.4 Placement of markers in an extrapleural location in the chest wall can help avoid migration. 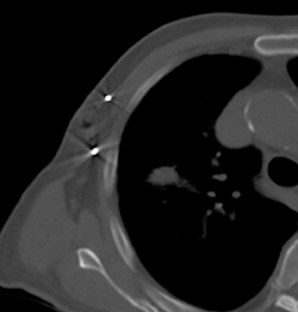 Lidocaine-related patient confusion is another potential complication. It has been our experience that some patients who have received >30 cc of lidocaine can become confused. In most patients,<30 cc is adequate to control patient discomfort. In conclusion, stereotactic radiosurgery is an increasingly utilized treatment method. 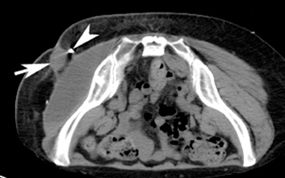 It is important for radiologists performing CT-guided placement of fiducial markers to be able to do so safely and accurately. 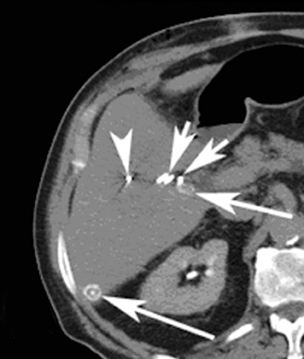 This article provides the essentials of how the system utilizes fiducial markers, a step-by-step guide on how to perform the procedure, a review of potential complications and what to do when they occur. Kothary N, Dieterich S, Louie JD, et al. 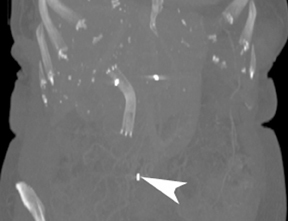 Percutaneous implantation of fiducial markers for imaging-guided radiation therapy. AJR Am J Roentgenol. 2009;192:1090-1096. Saw CB, Chen H, Wagner H Jr. 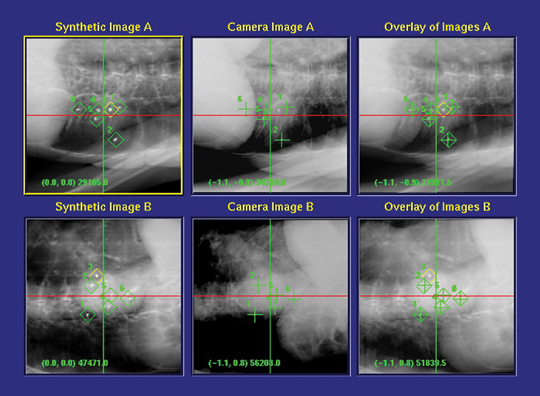 Implementation of fiducial-based image registration in the Cyberknife robotic system. Med Dosim. 2008;33: 156-160. 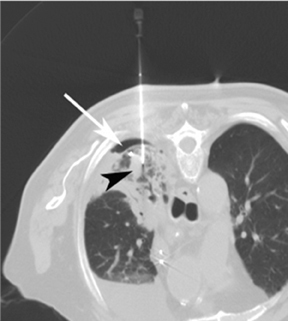 Kee ST. Fiducial placement to facilitate the treatment of lung lesions with the Cyberknife system. Accuray Incorporated. 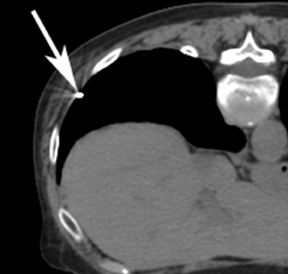 2005. eradiology.bidmc.harvard.edu/LearningLab/respiratory/Singal.pdf. Accessed on March 30, 2011. 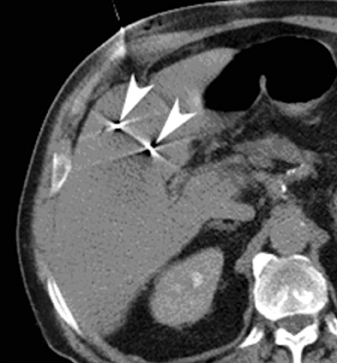 Kee ST. Fiducial placement to facilitate the treatment of pancreas and liver lesions with the Cyberknife system. Accuray Incorporated. 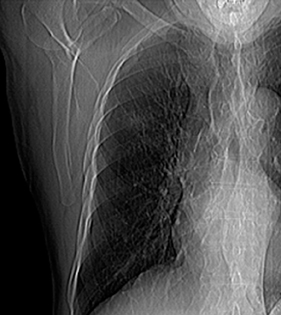 2005. eradiology.bidmc.harvard.edu/LearningLab/respiratory/Singal.pdf. Accessed on March 30, 2011. Sotiropoulou E, Stathochristopoulou I, Stathopoulos K, et al. 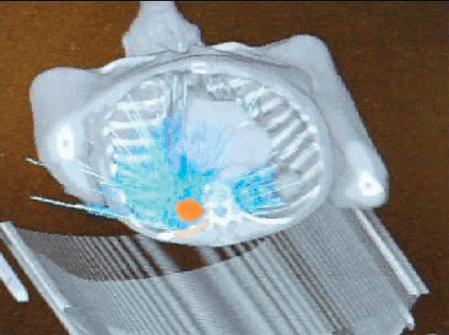 CT-guided fiducial placement for Cyberknife stereotactic radiosurgery: An initial experience. Cardiovasc Intervent Radiol. 2010;33:586-589. 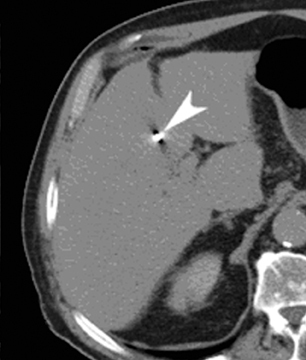 CT-guided fiducial marker placement for stereotactic radiosurgery. Appl Radiol.